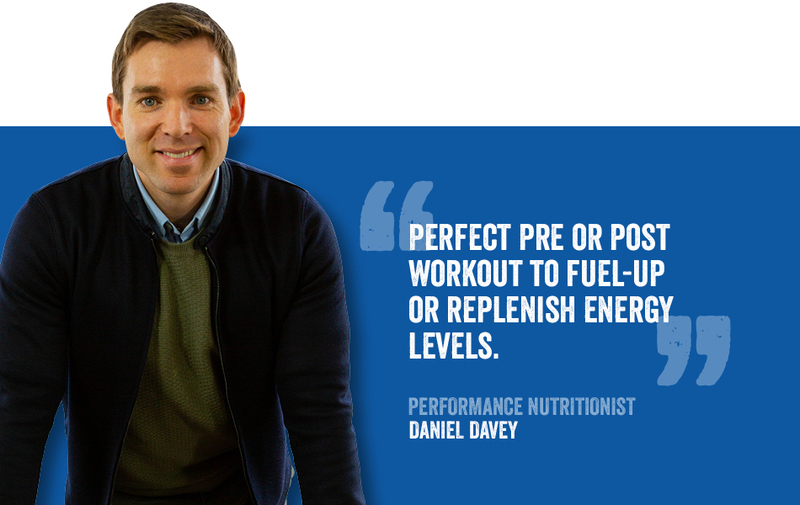 This recipe has been designed and developed by Daniel Davey, who has worked as a performance nutritionist in professional rugby and GAA for 10 years. 1. Cook the onion, garlic, chicken in a frying pan/saucepan until slightly browned. 2. Add canned tomatoes, tomato puree, zucchini and chopped pepper and cook for 4-5 minutes. 3. Cook pasta in boiling water, once cooked drain well. 4. Mix herbs and pepper into chicken/tomato sauce and allow to reduce and thicken. 5. Put cooked pasta into a non-stick pan, add Dale Farm Quark and stir well over low-med heat. 6. Add spinach to Dale Farm Quark pasta, allow to wilt and mix well. 7. 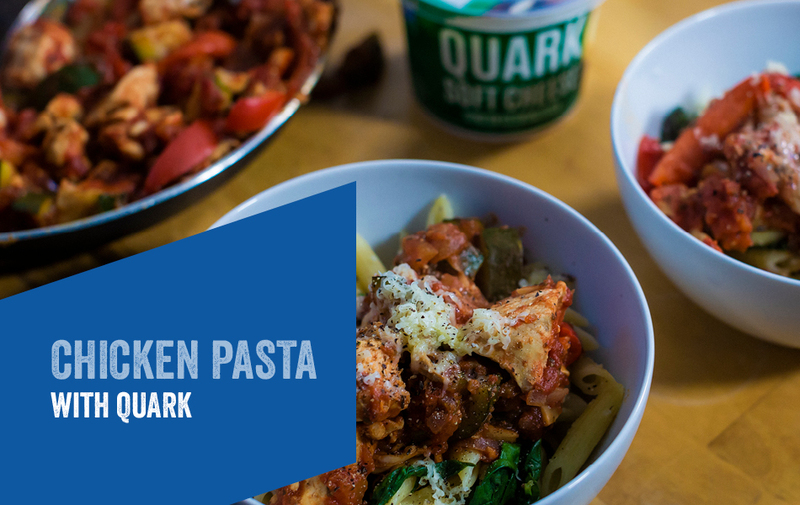 Serve Quark pasta with tomato chicken sauce, fresh basil and a sprinkle of parmesan cheese. Chicken Pasta with Quark This recipe has been designed and developed by Daniel Davey, who has worked as a performance nutritionist in professional rugby and GAA for 10 years.